Honestly? 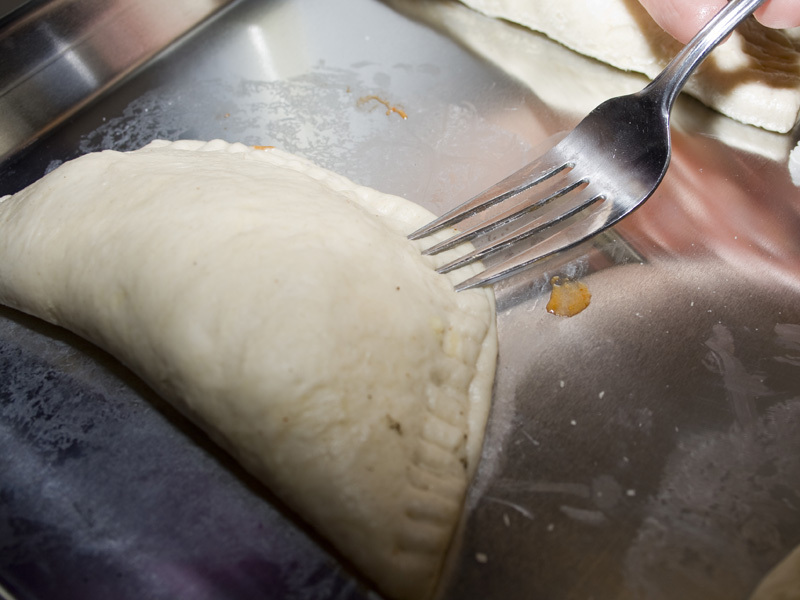 These are kind of like homemade hot pockets. At least that’s what the hubby tells me. I’ve never personally had a hot pocket. Just add it to the list of things “all” children of the 80’s have eaten that I haven’t. Also included are pop tarts & hamburger helper. What can I say? My childhood was full of home-cooked awesome. I don’t know the origin of hot pockets, maybe a vindictive evil genius in a basement discovered they were the perfect vehicle for scalding the mouths of children across the country? It’s possible. 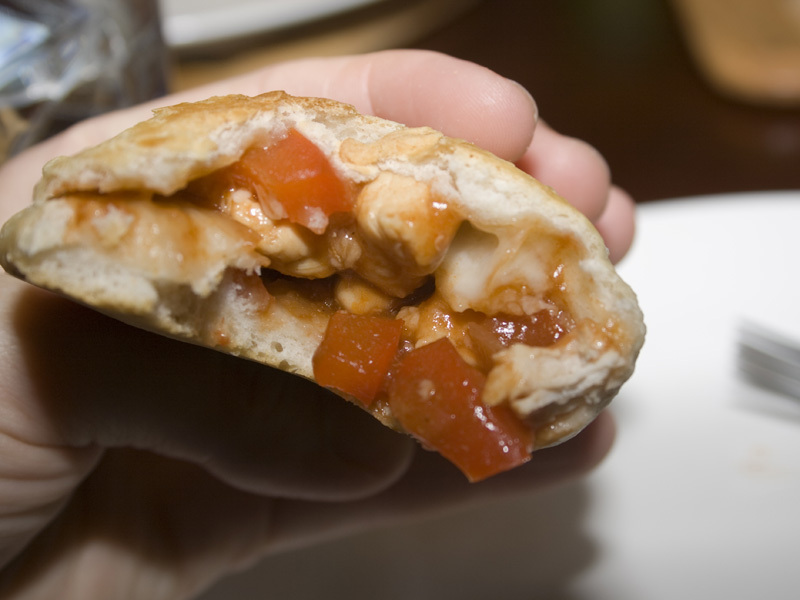 Empanadas on the other hand originated in Spain and eventually made their way around the world in various forms. 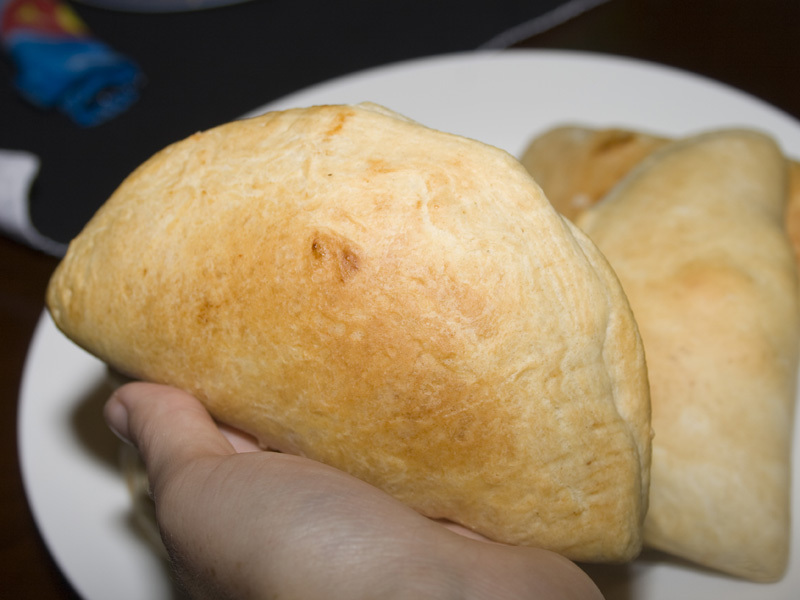 The name comes from the verb empanar meaning to wrap in bread. 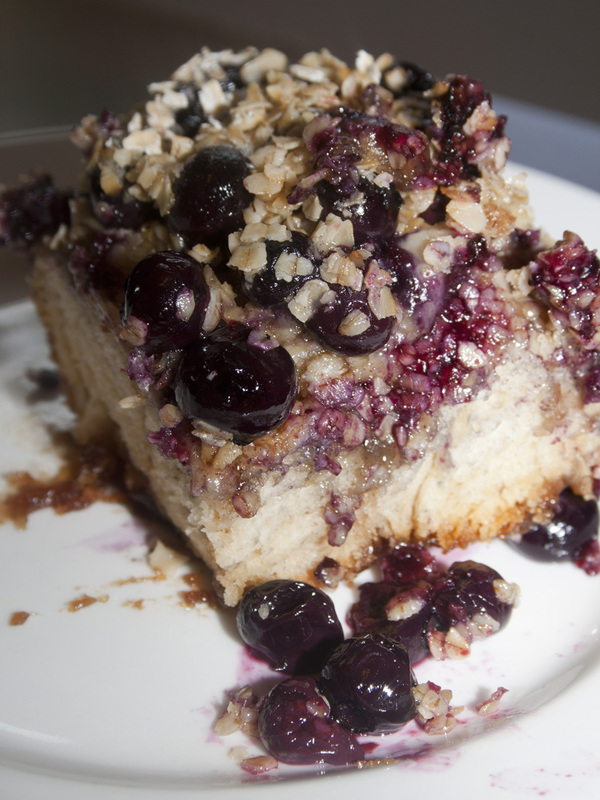 Some countries fill the dough with meat, some with sweet fillings or vegetables. I decided to combine the standard fare of the midwest (BBQ) with the Spanish tradition of empanadas. The result? 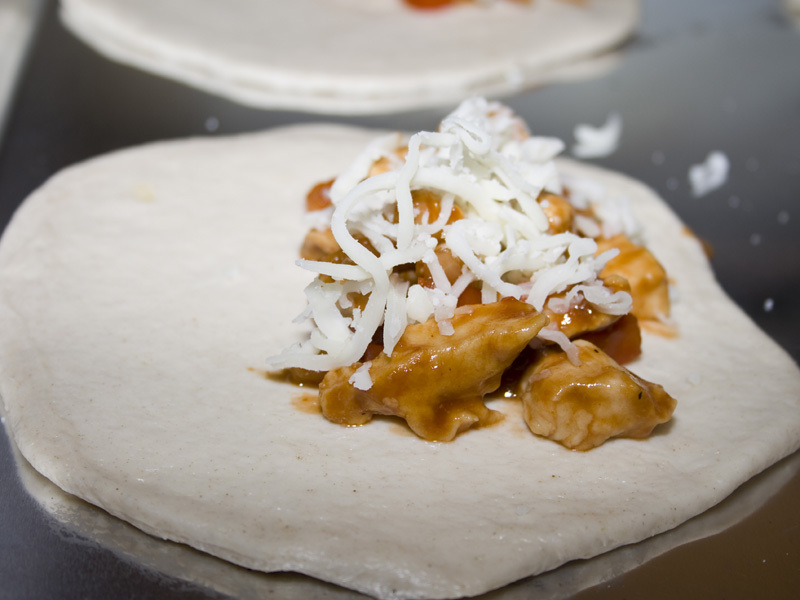 Buffalo chicken awesomeness. 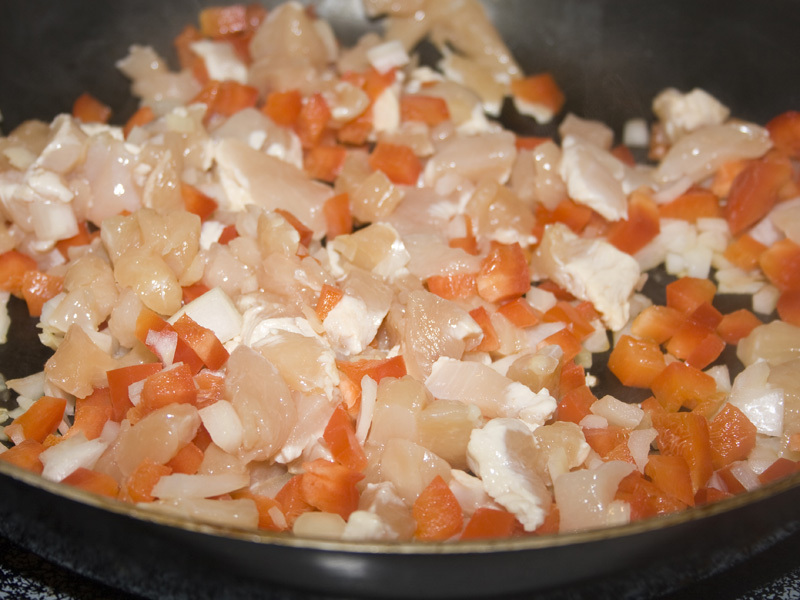 Start by cooking up some chicken, bell pepper and onion. 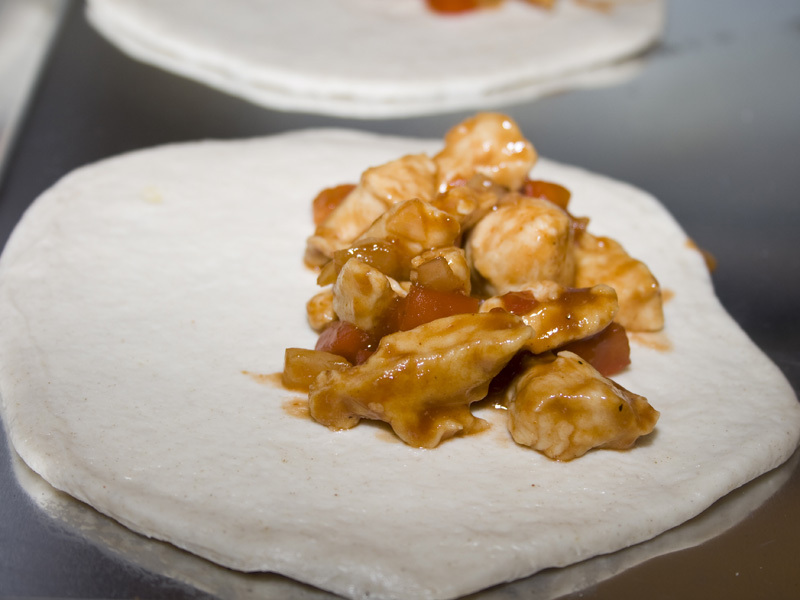 Then add a hit of BBQ sauce. I’m a big fan of Sweet Baby Ray’s cause it’s so thick and delicious – but you can whatever brand you like. Roll out some buttermilk biscuits and then start filling. First, some of the saucy chicken mixture. Topper of cheese (jack, co-jack, pepper jack…all are awesome). And press the edges to seal in all that BBQ goodness. 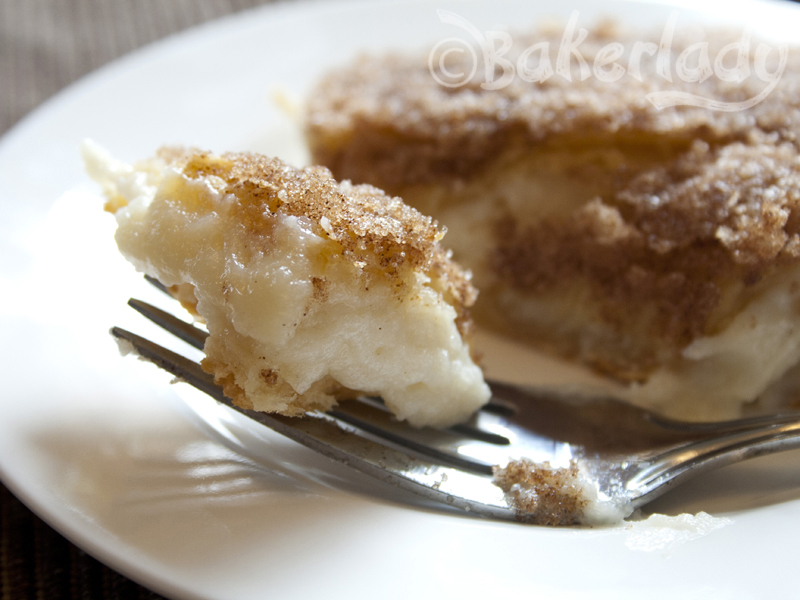 Bake and enjoy! You can hold these right in your hand and munch away. Glorious! A pocket of bready barbecue goodness. Mmmmmm. 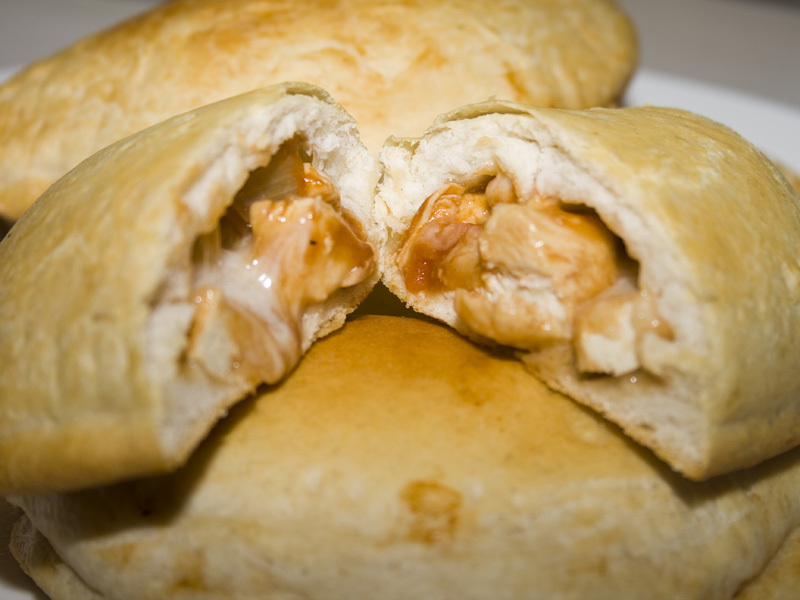 Filled with cheesy, chicken deliciousness. 1. Heat oven to 375°F. Sautee onions, pepper and chicken in large skillet over medium-high heat for 5 to 7 minutes or until thoroughly cooked, stirring frequently. Drain. 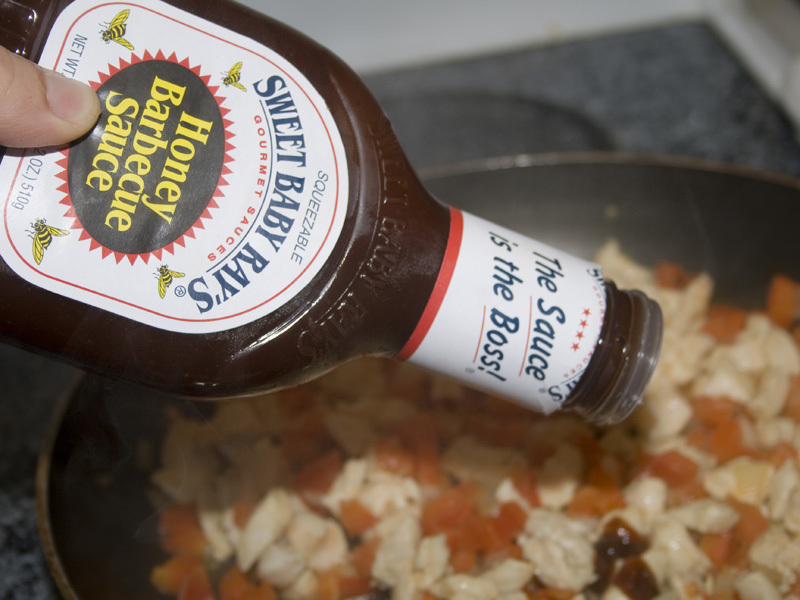 Add barbeque sauce; mix well. Remove skillet from heat. 2. Separate dough into 10 biscuits. Press or roll each to form 6-inch round. Spoon beef mixture evenly onto half of each biscuit round. Top each with a sprinkle of cheese. 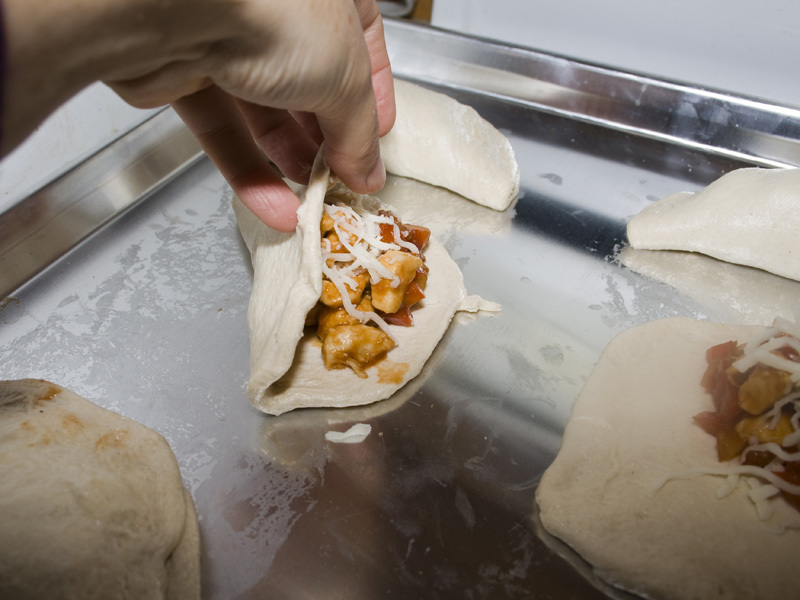 Fold dough over filling; press edges to seal. Place on ungreased large cookie sheet. 3. Bake at 375°F. for 12 to 17 minutes or until golden brown. Serve with sour cream or ranch for dipping and a mexican salad.